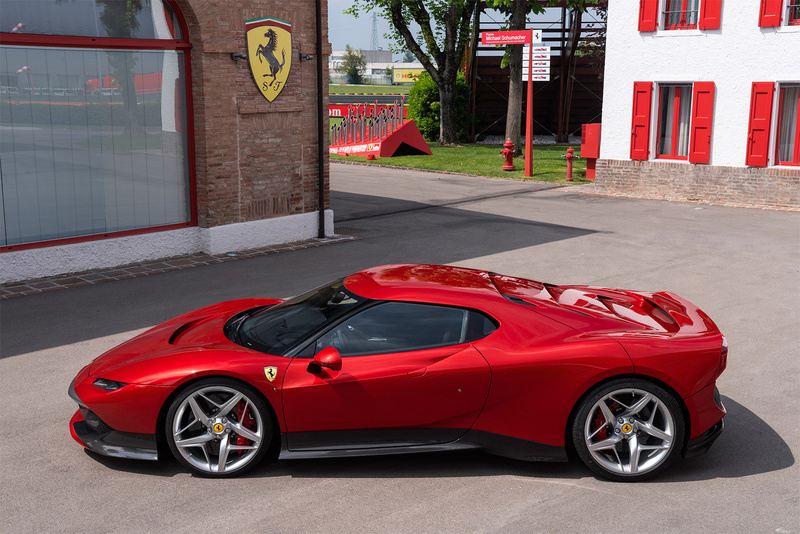 The Ferrari SP38, the latest offspring from Ferrari’s One-Off programme, has been unveiled at Fiorano where, after the ceremonial handover to one of Ferrari’s most dedicated customers, the car was put through its paces in a series of hot laps on Ferrari’s private test track. 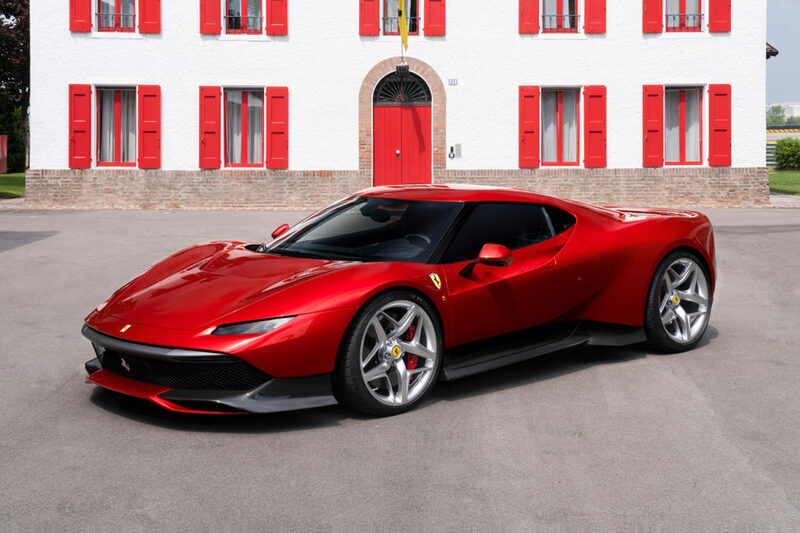 Designed by the Ferrari Design Centre on the chassis and running gear of the Ferrari 488 GTB, this unique car reflects the specific vision of a client with a deep passion for racing. The result is a model that can be driven both on road and on track, while at the same time expressing all the beauty and innovation inherent in Ferrari’s road cars. The unique bodywork, in a newly conceived three-layer metallic red, marks a radical departure from the looks of the 488 GTB donor car. The twin-turbo, twin-intercooler set-up of the 488 GTB inspired the team to reference the legendary Ferrari F40. Compared to the 488 chassis, the visual mass of SP38 appears concentrated over the rear wheels as the wedge design sharply stretches towards the front. The strongly tapered nose expands towards wheel arches giving the car a very unique look. 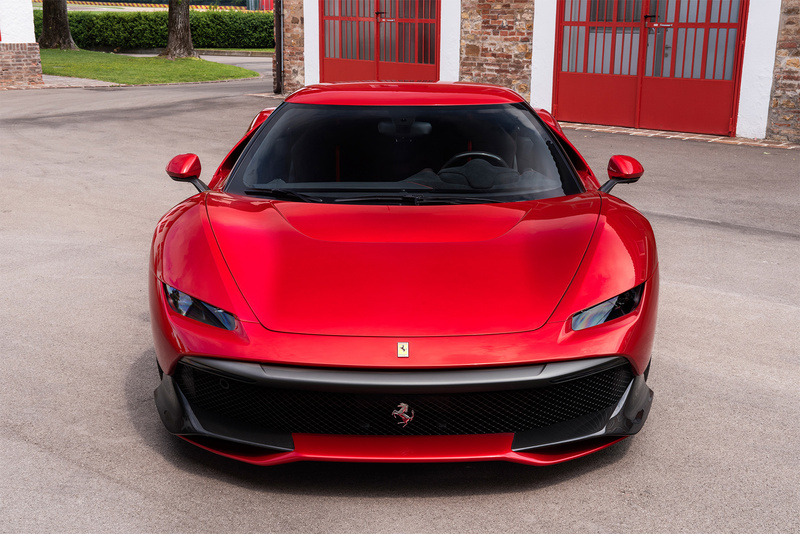 Specific inset headlights were designed to be as thin as possible, with the mandatory daytime running lights relocated to add character and functionality to a slim bumper lip reminiscent of the 308 GTB. The defining air scoop of the 488 GTB is completely concealed where the sheet metal folds in on itself from the low beltline on the door and into the rear wheel arch and three-quarter light. The effect is dramatic and yet maintains the air flow to the intercoolers at the base of the side window and to the rear of the car. 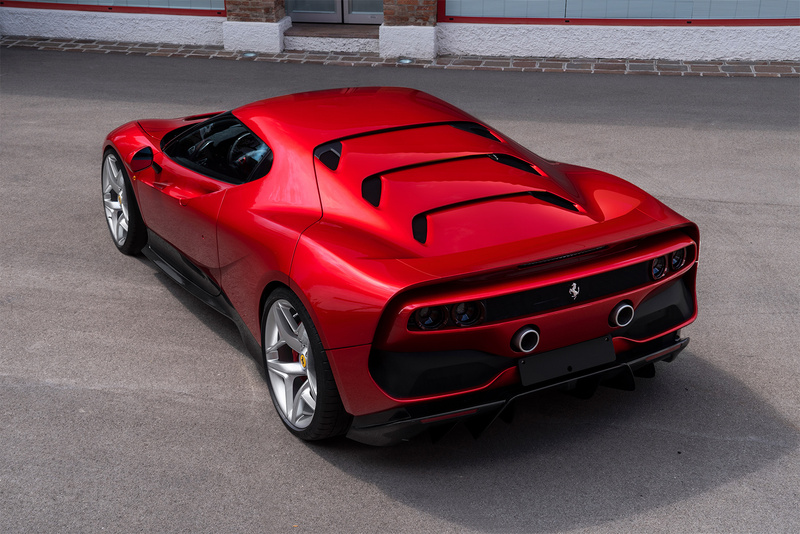 The dynamic styling continues over the engine cover, which sheds its rear glass and is treated as a flip-up assembly in carbon fibre with shutlines slashing the flanks in a gesture directly reminiscent of the F40’s. Three transversal slats slash across the engine cover to extract engine heat, and the smooth integration of a substantial rear spoiler is a hint at the rear wing of the F40. The trailing edge of the spoiler links with the wing and with the aerodynamic diffuser at the bottom, to create a suggestive frame surrounding the tail. 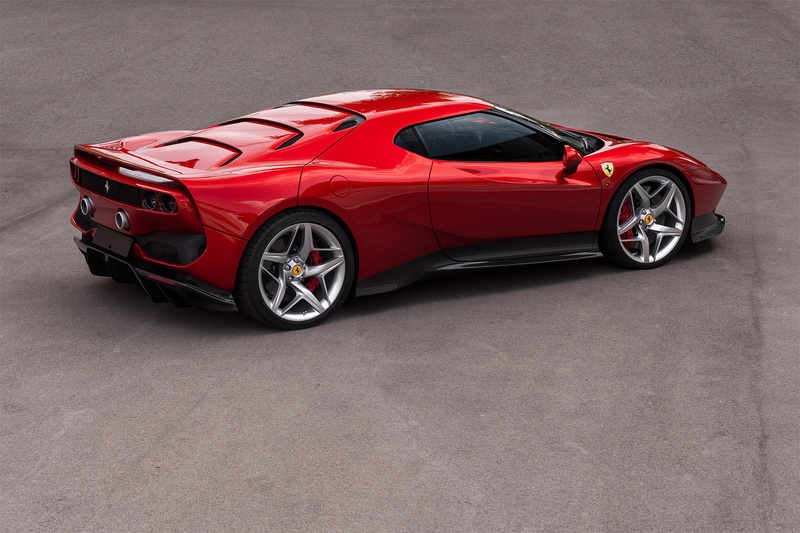 The standard 488 GTB is powered by a 3.9-liter twin-turbocharged V8 engine that generates 660 hp, 560 lb-ft of torque and can accelerate from 0-60 mph in under 3 seconds. A full Tailor Made interior puts the finishing touches on this special and unique Ferrari, which will be on public display for the first time at the upcoming Concorso d’Eleganza Villa d’Este on Saturday May 26.